Spend a week taking in some of the most iconic and breathtaking sights of Tasmania. Visit National Parks, UNESCO World Heritage Sites, and enjoy unique wildlife encounters. Savour award-winning wine, visit one of the most fascinating museums in the world, shop at our famous Salamanca Markets and tour Tasmania's capital city, Hobart. This tour includes a variety of experiences packed into one eventful week you'll never forget! Witness a feeding of the unique Tasmanian Devil. Walk to the world famous Wineglass Bay lookout. Start your journey at the UNESCO Word Heritage listed Cradle Mountain National Park. Discover Brickendon, a 7th generation working farm which has been UNESCO heritage listed for its convict history. Explore the unsurpassed beauty of the Freycinet National Park. Explore the Tasman Peninsula where you will visit Port Arthur. Visit a wildlife park then explore Tasmania’s oldest National Park with a rainforest walk to Russell Falls. Meet your guide at Launceston airport at noon to start your journey to UNESCO Word Heritage listed Cradle Mountain National Park. Enjoy an introduction to this fascinating alpine environment before arriving at your accommodation. Your guide will introduce you to the many endemic fauna and flora species of the region, whilst enjoying picturesque views on your walk beneath the spectacular craggy peaks of Cradle Mountain. In the late afternoon, visit Devils@Cradle Wildlife Sanctuary to gain insights about the world’s largest carnivorous marsupial and witness a feeding of this unique species. After breakfast, leave the rugged Cradle Mountain and travel towards Launceston. Discover Brickendon, a 7th generation working farm which has been UNESCO heritage listed for its convict history. Your host for this private tour will be one of the family members. Enjoy lunch at an award winning winery in the Tamar Valley before travelling to Tasmania’s East Coast with its exceptional beauty, pristine white sandy beaches and granite coastline. Today, there will be ample time to explore the unsurpassed beauty of the Freycinet National Park. Take an interpreted walk to the world famous Wineglass Bay lookout for some stunning photo opportunities. A shorter cliff top walk around the lighthouse at Cape Tourville is also on offer. Enjoy a scenic drive south along the East Coast, passing through the sleepy fishing villages. Explore the Tasman Peninsula where you will visit Port Arthur and hear the story of Tasmania’s famous UNESCO World Heritage listed convict settlement. Continue to Tasmania’s capital city, Hobart, and your accommodation for this evening. This morning, travel to Bonorong Wildlife Park to experience Tasmanian Devils, Wombats, Wallabies, Quolls and other Australian animals first hand. 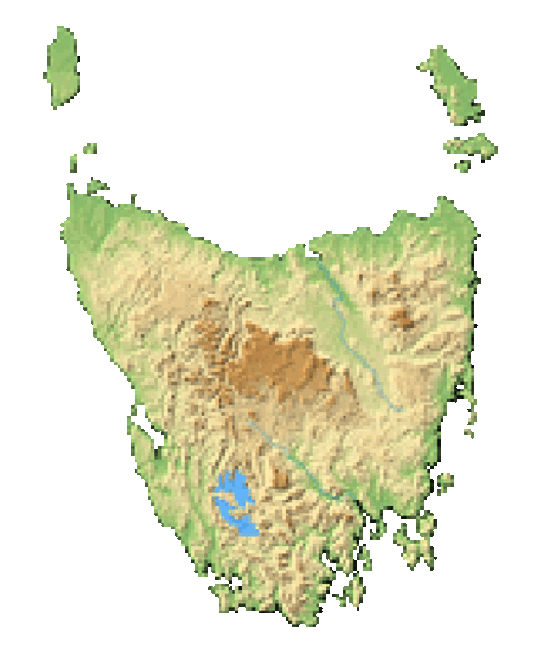 Continue to Tasmania’s oldest National Park, Mt Field. Explore the green forest canopy of the National Park with a rainforest walk to Russell Falls. Here you crane your neck to see some of the tallest trees in the world. Start the day with a stroll through Hobart’s legendary and colourful Salamanca Market (Saturdays only), before exploring the Museum of Old & New Art, the largest private art collection in Australia with its fascinating blend of ancient and modern exhibits. After lunch, travel to the Coal River Valley Wine region and sample some of the region’s award winning wines. Discover the charming village of Richmond with its well preserved colonial architecture. Your guide will bid you farewell at Hobart airport or your accommodation.